TFI Experts Panel Session - Startup Funding : How To Take On The Giants, discusses fundraising, which will provide practical, step-by-step advice. Learn expert tips, big pitfalls to avoid, what investors are looking for, how equity works, and more. 1. Why has Apple invested $1Billion in Didi Chuxing. Is this enough for Didi Chuxing to take on Uber? 2. Startups are pitted against industry giants. Given the large amounts being invested, is funding the only solution in Taking on the Giants? 3. In Funding Landscape, we have more large corporations taking huge interest in startups. We ask the question: Are VCs still relevant? 4.Going back to basic, let's also discuss on getting your 1st investment dollar. 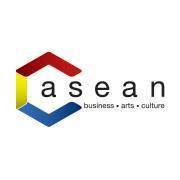 Please also click to http://hotqa.com/ to post questions for the panelists. At the end of the session, there will also be a short audience Q&A session, and several attendees will also head to a local restaurant or bar to socialize. 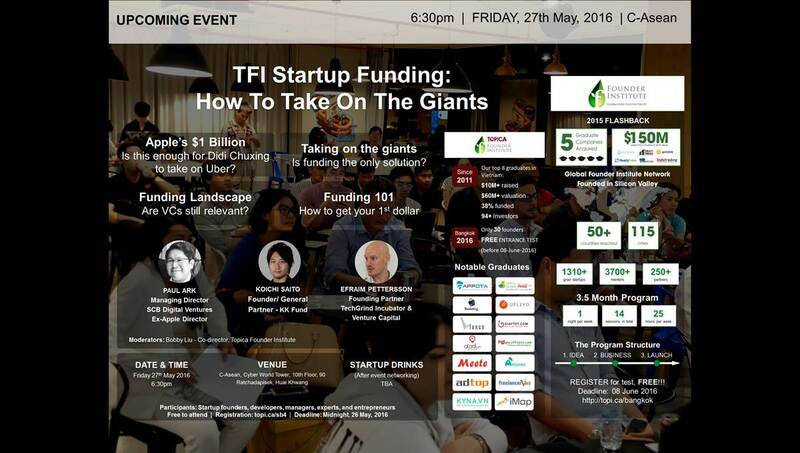 TFI Startup Funding: มดต่อกรกับยักษ์ใหญ่ ทำอย่างไร ? - เงิน 1 พันล้านเหรียญจาก Apple เพียงพอไหมกับการที่ Didi Chuxing จะต่อกรกับยักษ์อย่าง Uber ? - ในยุคที่บริษัทใหญ่ๆให้ความสนใจใน Startups แล้ว Venture capital ยังคงมีบทบาทอยู่ไหม ? - ในช่วงเริ่มต้นของ startup เราจะหาเงินลงทุนบาทแรกได้อย่างไร ?